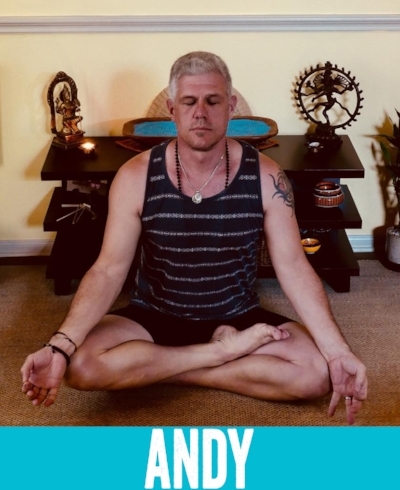 Andy found yoga after injuring himself as a runner. Years of abuse on his joints told him enough was enough. One of his goals is to help other athletes heal from years of damage and find a safer way to maintain health. Andy has been practicing Yin, Ashtanga, Hatha and Buti and is a 200 RYT as well as a certified Buti instructor. Andy wants to infect the world with his positive outlook and abundant energy. You’ll see this evidenced in his passion for teaching and helping others break through barriers.